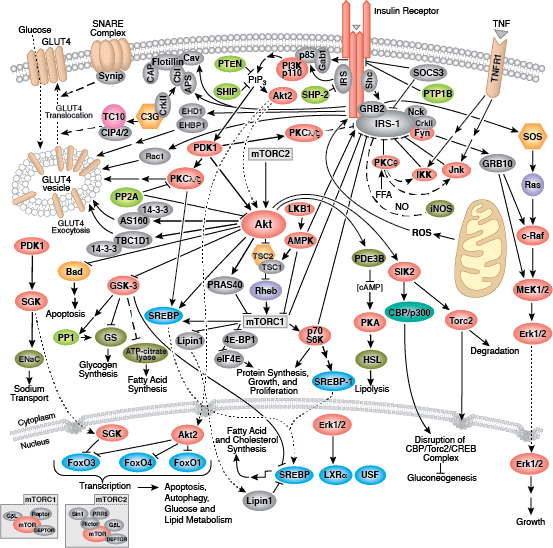 Koppenol WH, Bounds PL, Dang CV, Warburg O (2011) Otto Warburg's contributions to current concepts of cancer metabolism. Nat. Rev. Cancer 11(5), 325–37. 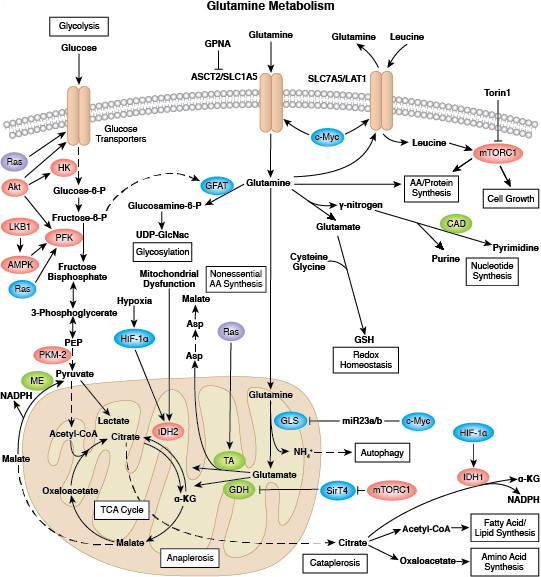 Mihaylova MM, Shaw RJ (2011) The AMPK signalling pathway coordinates cell growth, autophagy and metabolism. Nat. Cell Biol. 13(9), 1016–23. 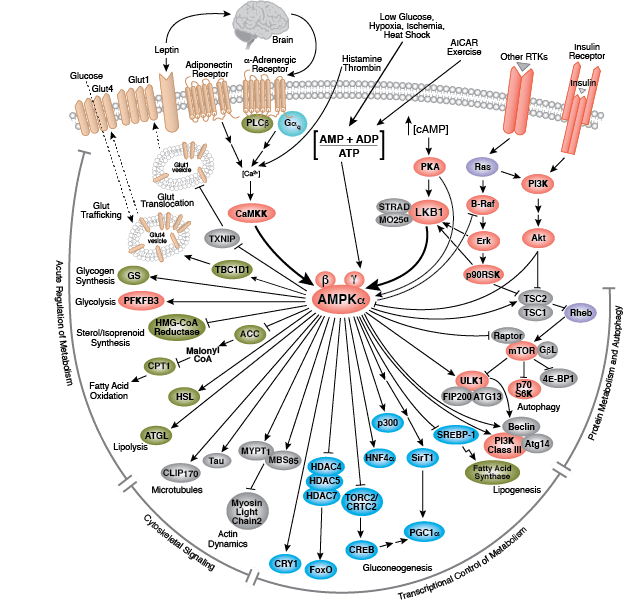 Zemva J, Schubert M (2011) Central insulin and insulin-like growth factor-1 signaling: implications for diabetes associated dementia. Curr Diabetes Rev 7(5), 356–66. 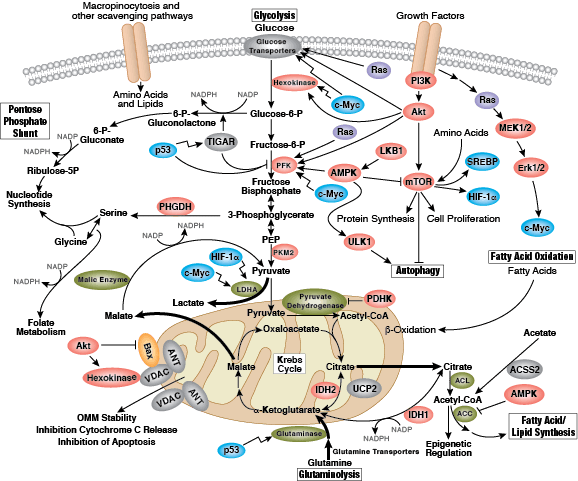 Hardie DG (2011) AMP-activated protein kinase: an energy sensor that regulates all aspects of cell function. 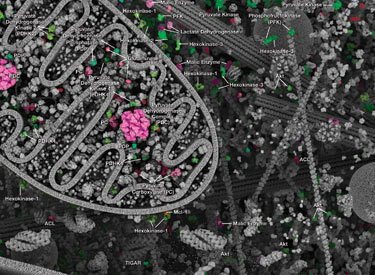 Genes Dev. 25(18), 1895–908. Bornfeldt KE, Tabas I (2011) Insulin resistance, hyperglycemia, and atherosclerosis. Cell Metab. 14(5), 575–85. Bayley JP, Devilee P (2012) The Warburg effect in 2012. Curr Opin Oncol 24(1), 62–7. 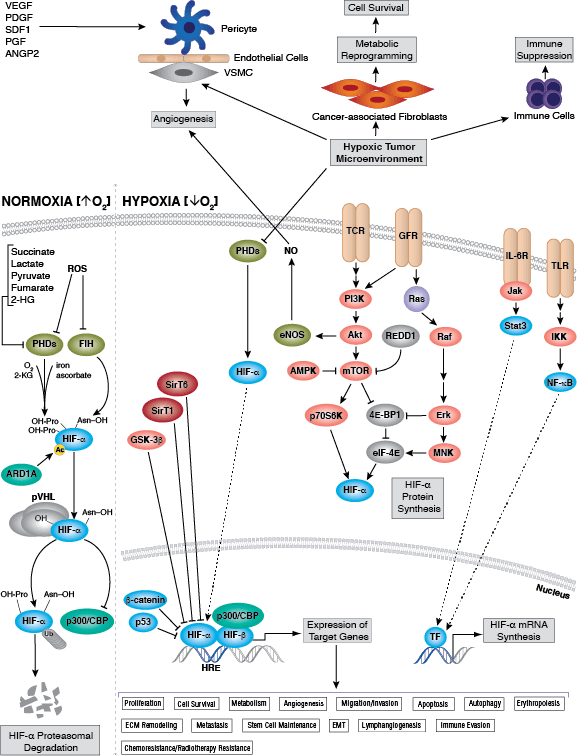 Gallagher EJ, LeRoith D (2011) Diabetes, cancer, and metformin: connections of metabolism and cell proliferation. Ann. N. Y. Acad. Sci. 1243, 54–68.